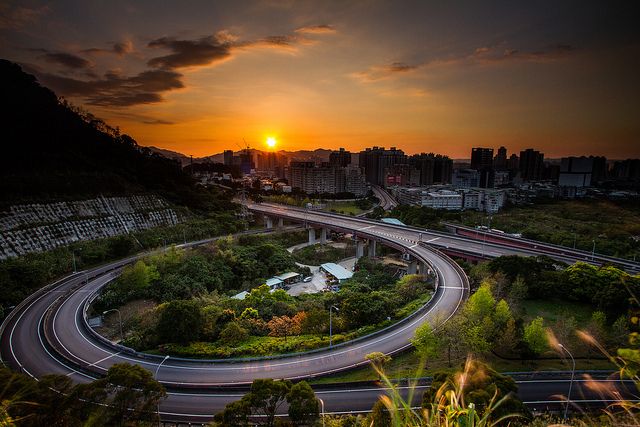 With numerous green hills and crossing waterways, the Jingmei and Xindian area more than lives up to its moniker of being “scenically beautiful”. These neighboring districts offer residents and travellers sustainable and green living, a laid-back lifestyle and choices of recreation to enjoy away from the daily city grind, whilst its vibrant crowd and a host of sublime restaurants ensure the neighborhoods serve a lot more than just natural beauty. Famous for its rocky cliff, lush lawns and green waters, Bitan is a good base for exploring the easily accessible scenic views and outdoor activities. 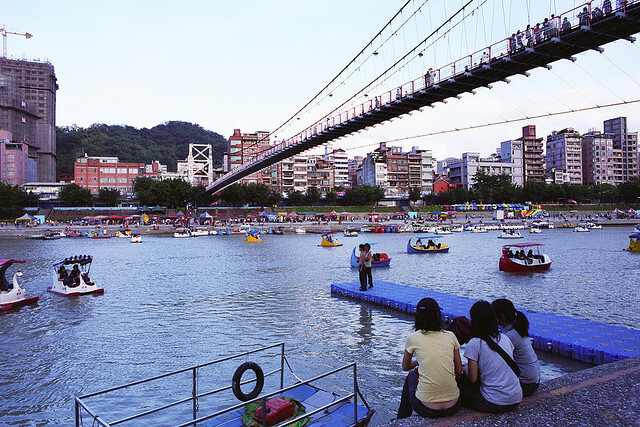 Many people end up spending an entire day at this eclectic spot: there are pleasant recreation parks on both sides of the rivers, paddle boats to take out on the calm waterways, hiking trails and the 200 meter-long swaying Bitan Drawbridge that is an absolute crowd favourite. 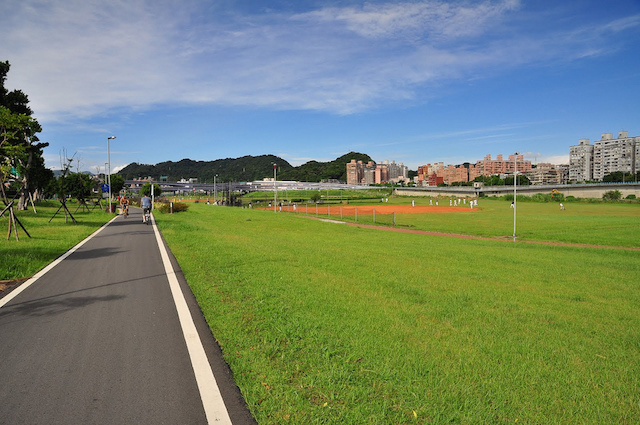 The cycle paths along Xindian Creek traverses Greater Taipei from Xindian District in the south to Tamsui in the north. Plus, the area is a mere 2-minute walk from the Xindian metro station. Without cars and scooters, Jingmei Riverside Bikeway is one the best bike routes in the city exclusively for runners, bikers and their two-wheelers. The paths on both sides of the Jingmei River embraces beautiful scenery, along with the Muzha Taipei Zoo, National Chengchi University, greenery and fish in the rivers. A number of YouBike stands distributed near the bikeway are open 24/7, convenient and easy to use. The Daonan Riverside Park, equipped with a basketball court, skiing yard and other facilities, is recommended if you want to take a rest. Escape from the hustle and bustle of Jingmei Market through hiking at the nearby Xianji Rock, a favorite amongst Taipei locals. 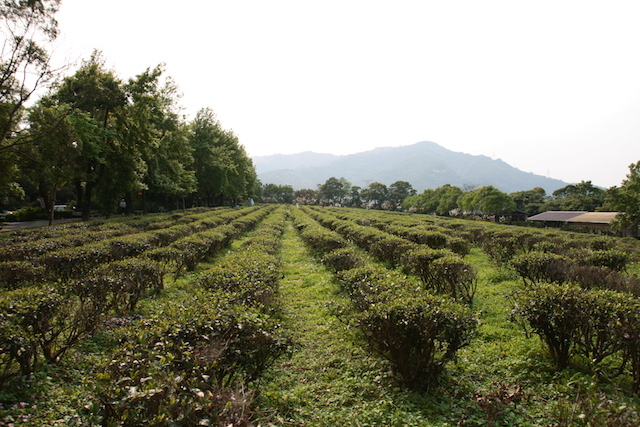 The hill earned its name after the legendary deity Lu Dong-bin had once appeared in the area, according to Chinese myths. 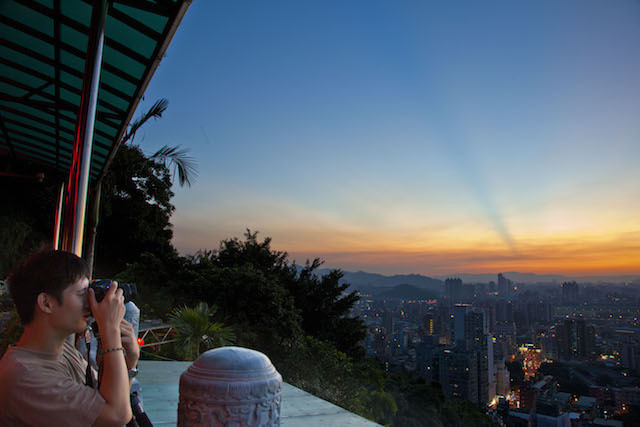 In between the trek sits the Xianji Temple which draws both believers and sightseers, offering tranquilly and enjoyable views of the southern Taipei and the Taipei 101 afar. 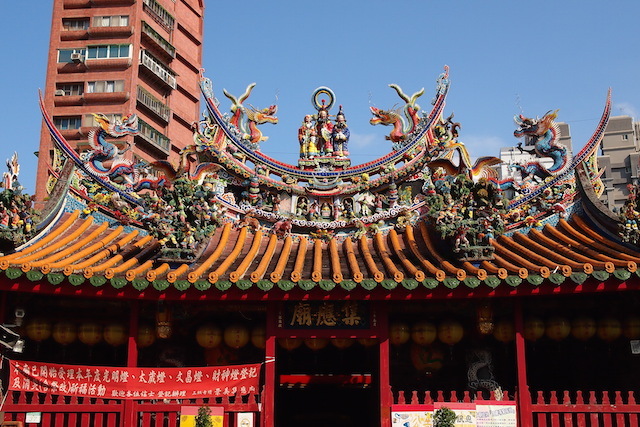 A mere five-minute walk from Jingmei metro station, this Grade III historic site is arguably the oldest temple in Taipei, dating back 400 years as a shrine to local deities by the farming communities in the area. The temple is imposing both inside and out, with elaborate stone engravings, wooden window fames, artifacts of religious and culture significance and other decorative touches adding to its old-world charm. Aimed squarely at tourists and families, the recreation farm is a passionate and thoughtful player in ecotourism industry, with nature trails, tea plantations, camping areas, learning centers and a collection of herbal specimens. Either a day trip or a two-day guided tour is available to while away a leisurely weekend. With green views all around, this suburban farm is an invaluable respite from urban life. 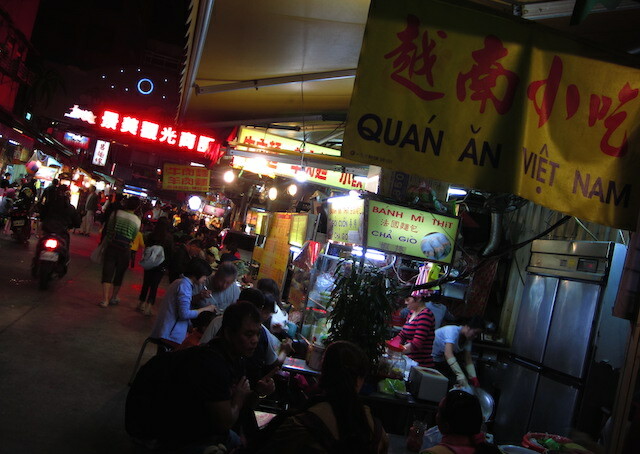 There is never a problem finding somewhere to eat and drink in the boisterous Jingmei – from the street vendors selling Taiwanese street food, to the cafés and local restaurants on almost every corner of this local-oriented night market. While you can go for the bustling atmosphere and the low-cost traditional food such as Shanghai steamed buns, vermincelli, stinky tofu, saltwater chicken and four flavored soup, it is also a good place for bargains, from digital hardware to daily necessities. The market is at its best about 6pm to 10pm, when it’s clogged with stalls and people. Laosun is one of the most popular cold noodle bars in Taipei, developed from a food truck decades ago. 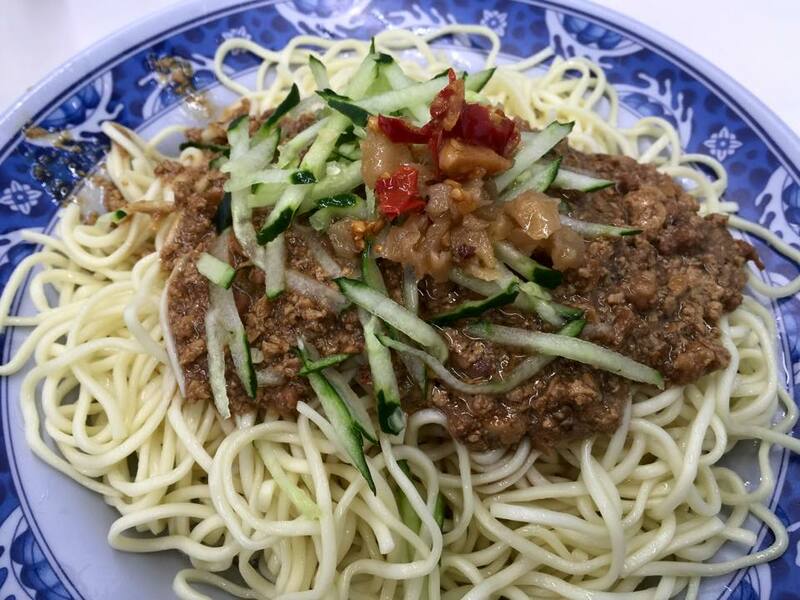 Although cold sesame noodles are a must, other choices such as minced pork sauce, vegetarian sauce, and other hot noodles are available. There is also an extensive à la carte menu with to-die-for side dishes. You can get some seaweed, meat jelly, and best of all, stewed eggs and dried bean curd. Going to izakayas is still an important activity in this former Japanese colony. Ajijiman (味自慢居酒屋) in Jingmei is a good place to start. Hidden in the rear of residential enclave in Jingmei, this izakaya is a cute and cosy spot for supper or a relaxed, drawn-out Japanese meal. Secure a table in its tatami area and make a night of it with sake or Orion beer, sashimi and kushiyaki, and Japanese cold noodles during summer. 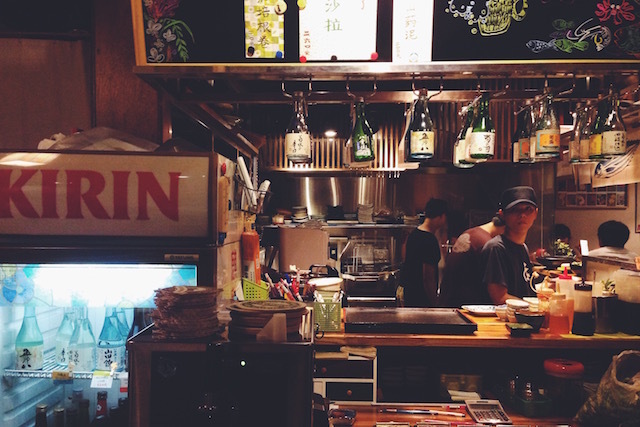 Located near Dapinglin metro station, Xiaojuleshi (笑居樂食) is another izakaya that has won the admiration of many locals. Here, the focus is on the food – with superior sushi, signature dried fish and a huge array of small dishes listed on its scrolled menus (which resemble the traditional Chinese decrees). Reservations recommended. As the filming location of Café, Waiting, Love, a Taiwanese romantic film based on the novel written by the celebrated author Giddens Ko (九把刀), this café is very popular – and populated. The location is secluded, but you won’t be lost you’ll see a crowd. Fame aside, its tasty menu is filled with pastries, brunch, and salad. The Abusi Speciality steals the spotlight; this is a DIY coffee named after the barista in the film, whereby you can personally customize the amount of milk, chocolate syrup, sugar in your coffee.